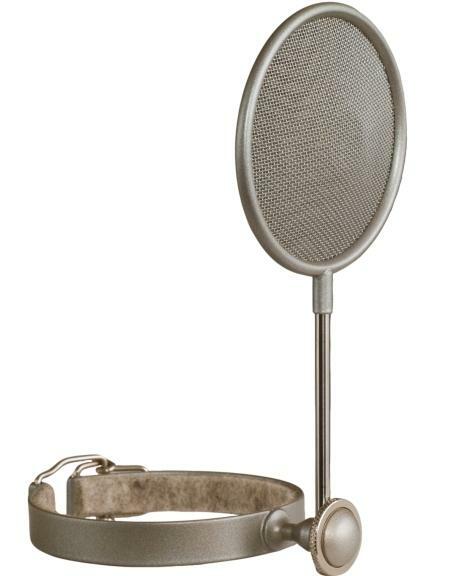 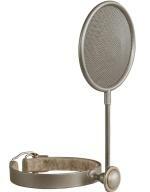 One of the last add's in Violet Design accessories range is Metal Mesh Dual Cone Pop Filter. 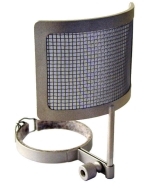 It composed of dual layers of fine mesh screens, standing in a holder - ring with lock. The main difference (peculiarity) from other filters is the shape of the surfaces - they are conical. 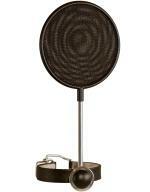 Thanks to unparallel surfaces air-waves are "killed" very effectively and popping sound is blocked. 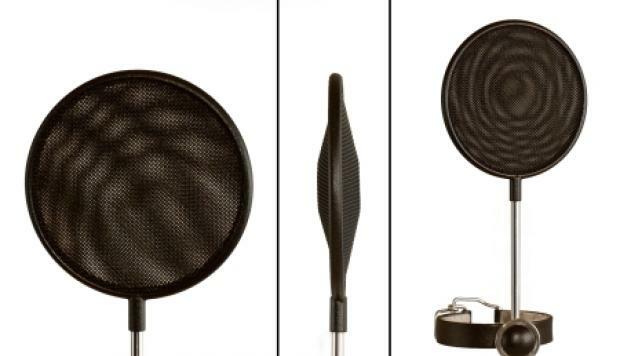 The energy of plosives is almost reduce, but sound didn't change, at the same time ! 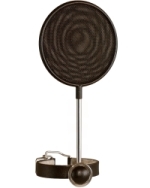 Sound became uncolored! 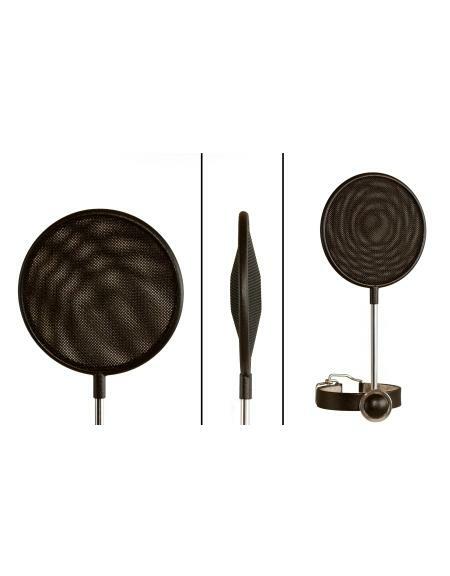 Because of its effectivity, the Pop Filter could be located close to microphone, what make all construction compact. 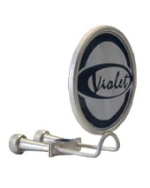 The ring holder, what keeping Pop Filetr comes in two sizes - 42mm and 60mm in diameter. This allow use filter with Black Knight, Dolly, Wedge, Globe, Global Pre and all other microphones with the suitable body sizes - C12, U47, etc.. 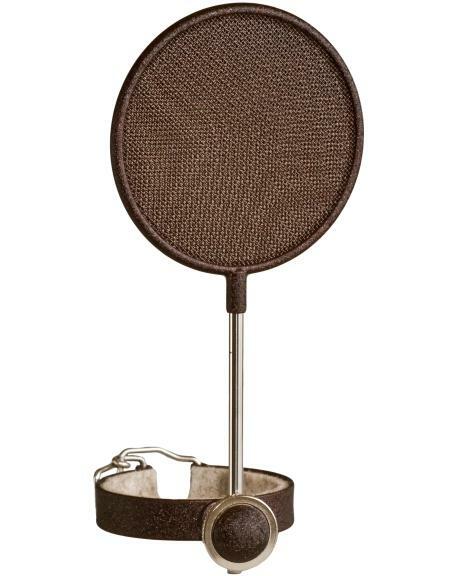 Pop Filter is coming in Black, Brown and Nickel colours.